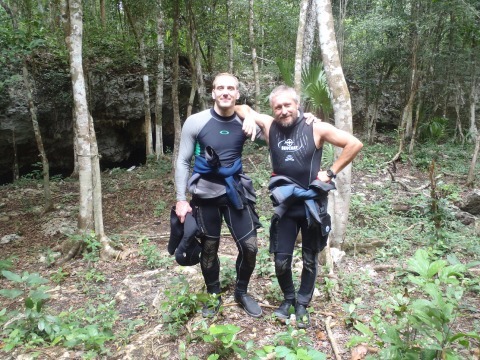 Members of the Czech Speleological Society (CSS) have recently connected the Ko’ox Baal system, located in Mexico’s Yucatan Peninsula, to another cave to create the world’s fourth longest underwater cave system. A connection between the ~20 kilometer (12 mile) long Tux Kupaxa system to Ko’ox Baal had led to a total length of over 56.5 kilometers (35.1 miles). A commitment to mapping the cave has led Ko’ox Baal to actually take the top spot as the longest mapped underwater cave system. Another system, Xunaan Ha system, located around 2 kilometers away could also potentially connect to Ko’ox Baal in the future, which would mean an additional 51 kilometers (32 miles) and the spot as the third longest underwater cave. Interesting news to see, I’m considering retiring in Mexico and enjoy seeing that this particular area of Mexico offers natural resources and ecological wonders to see. 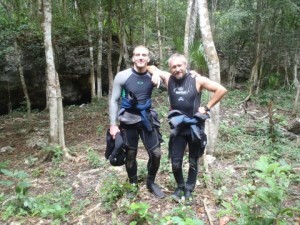 Referenced this on my blog for retirees seeking information about moving to Mexico (http://retireinnayarit.com). Regards, Rick.